for some unjustifiable reason (aside from their gorgeous packaging!) i have recently become obsessed with the beauty brand benefit and their entire range of products to the point where i've spent hours browsing ebay for the best prices! fortunately i've managed to come away with sample sizes of just about everything as well as several full sized products. i think it's been the perfect way to test their products because several of them come in the one pack and you can get the justine case or valley of the stars kits for only a few pound on eBay (i've found that the UK site has the cheapest prices even when you factor in shipping). 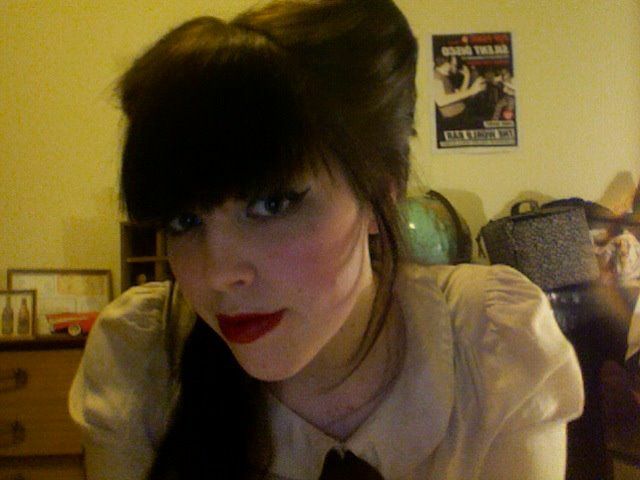 i'd have to say that my favourite product thus far is the benetint lip & cheek stain which you can (sort of) see me wearing in the following poorly lit photobooth photos. 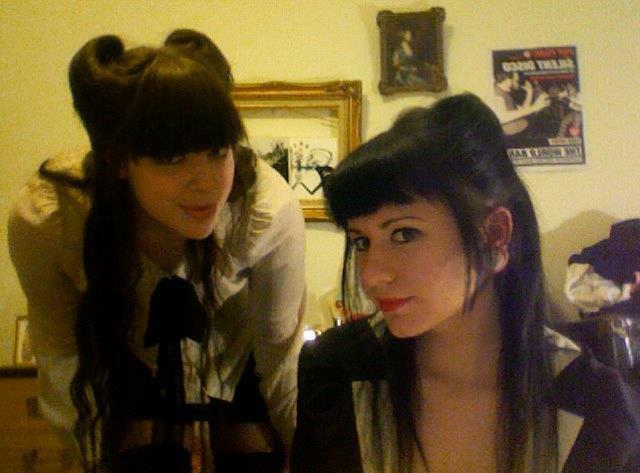 i'm also rocking some sweet victory rolls that my gorgeous friend harriet did for me on saturday night. 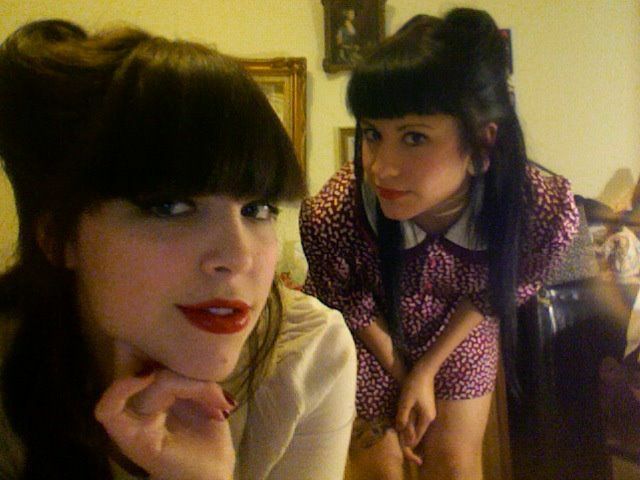 :) better pictures of my hair here & here. and again, on eBay, i decided to treat myself to some new lip balms as lip products have always been my weakness. 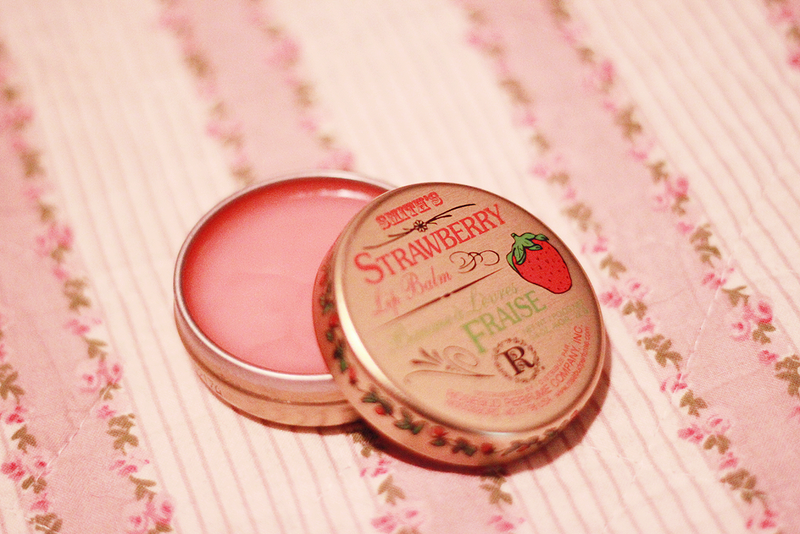 i loved the smell of the smiths minted rose salve that i bought myself on my stopover in taipei on the way home from london last year so i decided to track down the rosebud salve and the lovely strawberry lip balm of the same brand. 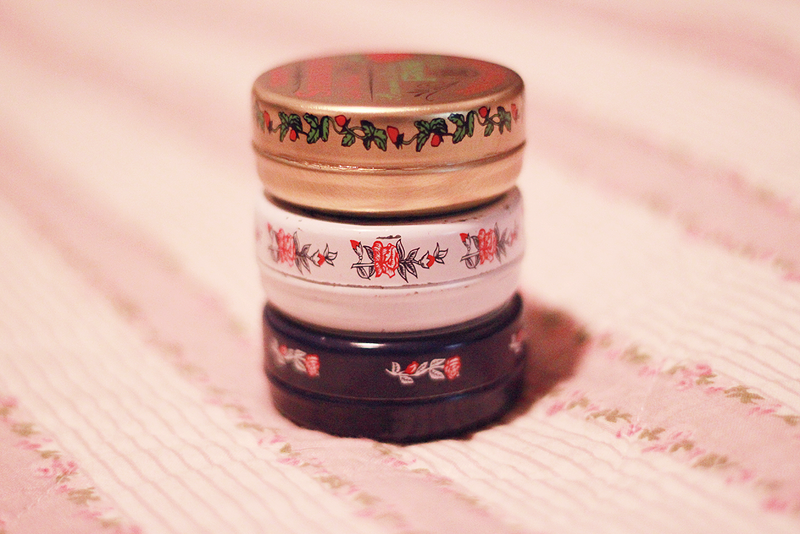 they're not particularly cheap but the tins are beautiful and they will last you forever! definitely worth it if you've got the cash to spare. I don't know what I'd do without eBay in my life. Buying cosmetics in Australia is just ridiculous, isn't it? 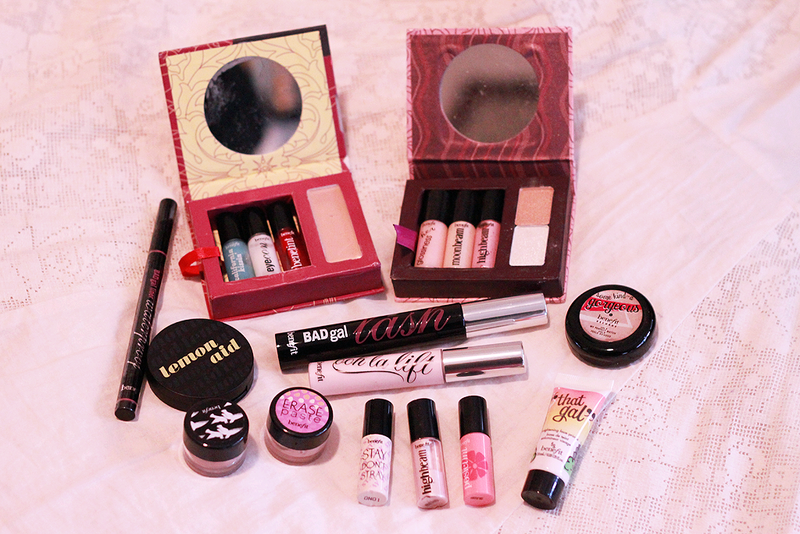 I mostly use MAC, but I'd love to get into Benefit more. The prices have just stopped me from doing so! I have the High Beam, which I absolutely adore though. After my Body Shop Body Butter runs out, I'm buying The Righteous Butter! I love Soap & Glory and the packaging is so girly and retro. I really want to try the Hand Maid hand sanitiser, but like you said, ASOS is laaame! 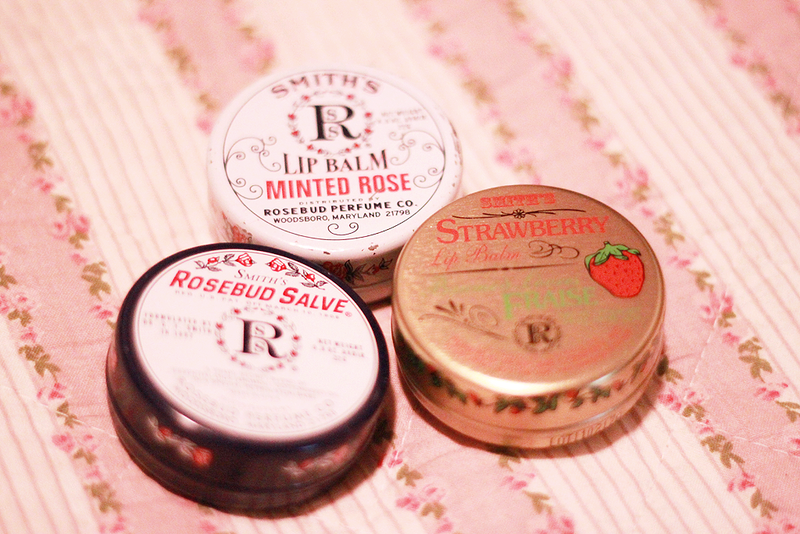 I have the Smith's Rosebud Salve and I love it. It's nice to apply before bed and on your cuticles. I love the vintage-like packaging too! i'm absolutely addicted to benefit too, the erase paste is miraculous! I'm hooked on Benefit too! 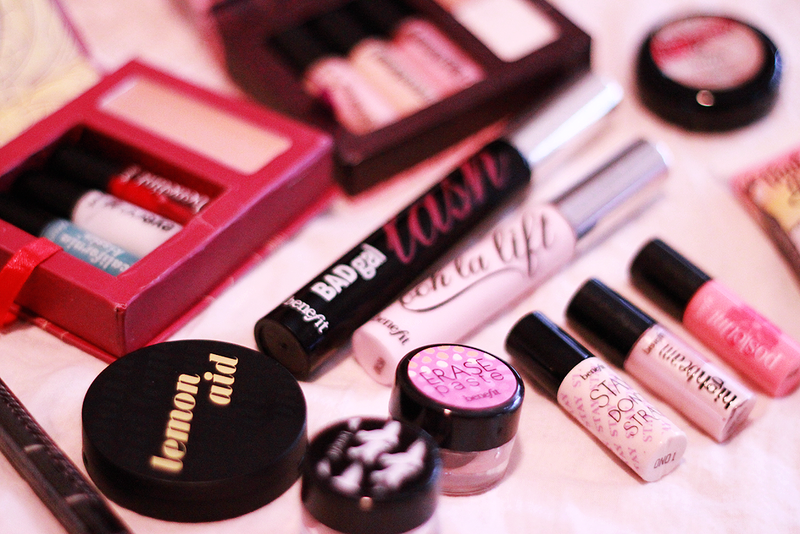 This post made me smile because I just wrote a whole blog post on lipstick! haha! everything looks incredibly lovely! so so sweet oh! and your comments make me so happy every time thank you ! Their products look so cute! Oh Benefit is adorable! The sad thing is they are so overpriced here in Australia. But you can get them from the UK or something, they are so worth it! I love their "they're real" mascara! And the High Beam is an amazing highlighter.. must have! ps: just found this blog and I love your "little henry lee" title. That song gives me goosebumps! 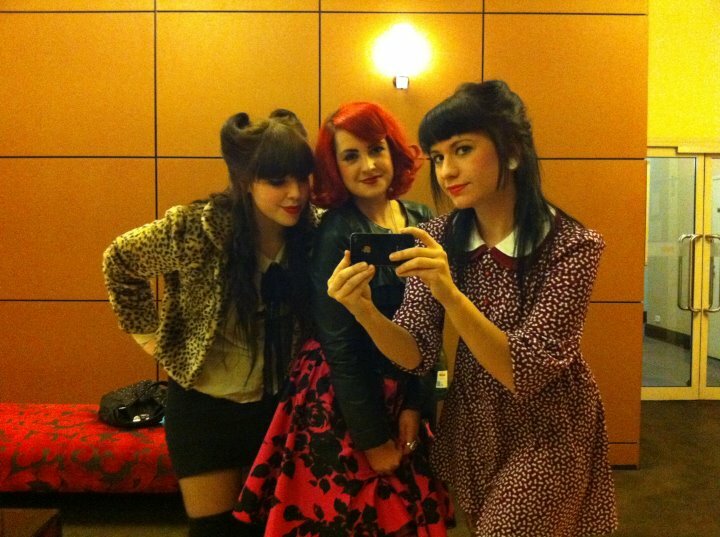 You look cool and I just can't get enough from their products! I like your header :) Thank you so much!